Get Fit with Tanisha in the comfort of your home! Hi my name is Tanisha. 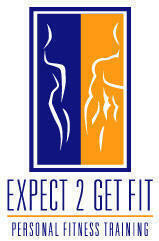 I am a In Home Personal Trainer in Gastonia NC and the local areas. I have over 4 years training experience. Before a Trainer, I was a client. Failure was never an option for me. God, self love, support, dedication and consistency got me far on my journey as a client. Becoming and continuing my education as a Trainer, I have the ability to give everyone a gift but a gift of recognizing and taking control of their health. The best part of my day is knowing when I have empower, change or educated someone to live a healthy and proactive life through day to day functional movements by the following training styles: aerobic, anaerobic, circuit, muscular strength, muscular endurance training, and flexibility training. Most of all, I am committed to improving the health and well-being of an individual's needs. Learn more about In Home Personal Training in Gastonia NC with Tanisha. Submit your name, e-mail, address, city and any comments/ questions you might have or call 1-(800) 439 5182.